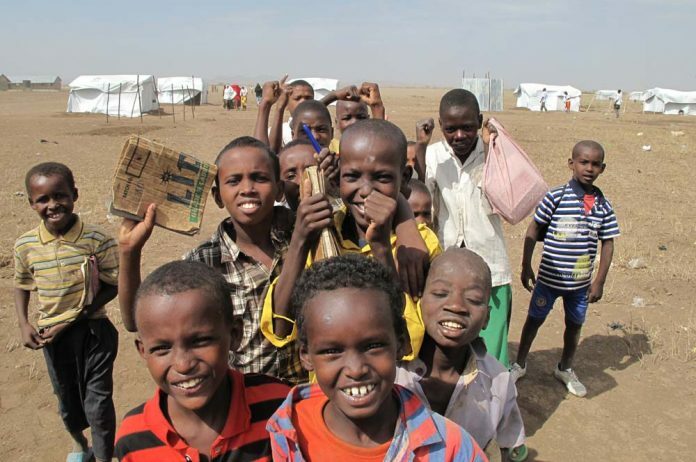 Refugee from the Dadaab camps who will be sitting for their national exams have voiced their concern over the intended closure of the camps by the government in November this year. According to UNHCR records,a total of 4575 students are expected to sit for their exams in the refugee camps this year.3429 will sit for KCPE while 1,146 are set to sit for KCSE. The refugees have their own schools and teachers inside the camps and go through the Kenyan education system and subsequently sit for KCPE and KSCE final exam. Those interviewed in Ifo 2 refugee camp lamented that the taking back around the same time when they are supposed to be sitting for their national exam would greatly inconvenience them and shut their future dreams. Aden Hussein a candidate at Golden Elite primary school in Ifo 2 said that he come to the camp 6 years ago in the company of his parents. He said he came while in class 2 and immediately joined the school where he has studied till now and was anxiously and looking forward to sitting for my final exam. Another candidate Omar Hassan appealed to the government to spare them sit for their exam then repatriate them later. The school has 12 candidates. For Abdi Omar a KCSE candidate at Nasib secondary school in Ifo 2 said that he was finding it difficult to accept that their education could be in jeopardy. Brian Nyongesa a senior teacher at Golden elite primary school said that the learners have had a good transition system during their period in the camps and would wish see the same transition when they go back to their motherland country. The Kenyan teachers who teach in the refugee schools are contacted and paid by agencies such as windle trust, CARE international and Islamic Relief.